That’s exactly what Hitmen captain Mark Kastelic has done all season long and continues to do in playoffs. The 19-year-old had a monster regular season with career highs across the board with 77 points, 47 goals, 30 assists and 24 power play markers. 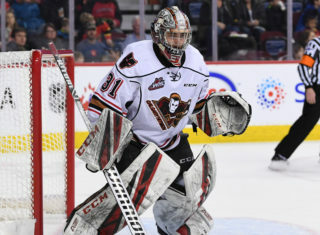 And don’t forget the four team awards as he earned the Edward Jones Three Stars Award, Jr. Hitmen Players’ Choice Award, shared the Flare Skate Blade Leading Scorer Award with James Malm, and the Ed Williams Men’s Wear Player of the Year. 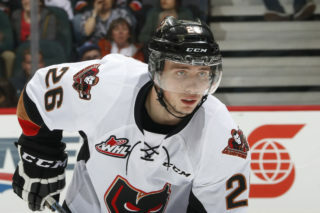 “It’s a huge honour and all the guys around me are a big part of my success,” Kastelic said. “They deserve all the credit and it shows that the individual accolades are a product of your teammates. 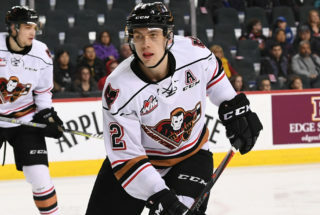 In addition to all his awards with the Hitmen, the centre was recognized from a league standpoint for his work being named a WHL Second-Team All-Star. Not a bad way to top things off. “I wasn’t really expecting it and it was out of the blue,” he said. “A lot of the guys told me about it because I had no idea and immediately I just felt very fortunate and proud to see how much of my hard work has paid off. 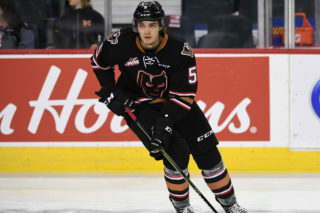 There’s without question he has continued to make his presence felt in the series, scoring his first career WHL goal Friday night and asserting himself into the physical department. With his frame and style of play, it’s safe to say that he is built for playoff hockey. 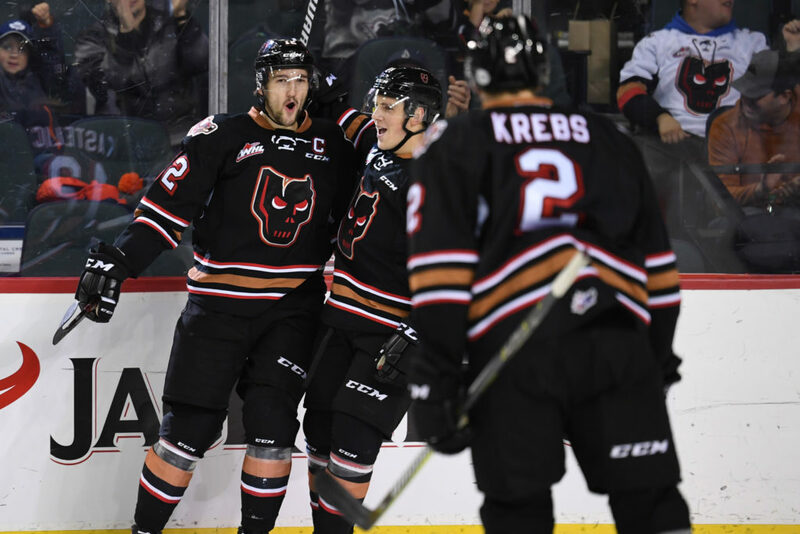 Although the Hitmen find themselves down 2-0 to the Hurricanes in the opening round of a best-of-seven series, the captain along with the rest of the leadership group have been very vocal in letting the team know it’s not over. 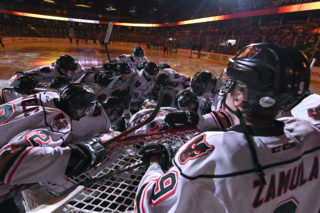 “We didn’t get the start we wanted to but there’s a long way to go and we know that we can climb back,” Kastelic said. “You never know when you need to be counted on and there are so many areas in the game that you can make an impact in and I think everyone recognizes that. If there’s one thing about playoffs to remember it’s that anything can change with a flick of a switch, and being on home ice may be that switch they need to bounce back. And it all begins Tuesday night. “It’s exciting to be back home and I know our fans are going to be fired up for it after we missed out last year,” he said. “We can feed of the energy of the crowd and we want to put on a good performance for them.